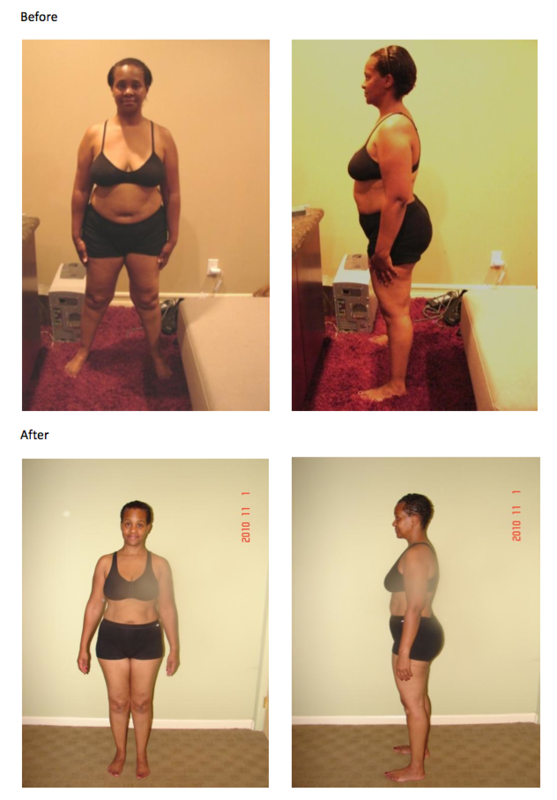 For too many years I’ve struggled with my weight, and not until my husband happened upon www.bootcamppasadena.com did I find any success. I’ve done the lemonade cleanse, Nutrisystem, Herbalife, Jenny Craig, Atkins, and none of them worked. But I know for sure you’ve got the winning formula: boot camp + Paleo diet. For the first 5 weeks, I was tracking 100% on the diet and getting 8 hours of sleep, and only missed a couple of boot camp sessions. The last two weeks I slipped up on a few days by eating a few bites of cheesecake, a ½ slice of pizza, some bread while dining out, ate a spicy chicken sandwich, and nibbled on my son’s curly fries. I didn’t fall too far off the wagon during the entire 7 weeks, though, I’m happy to say. The best part was having my family’s support in my getting to bed by 10:00. I’m usually running around doing last minute chores or catching up with paper work, but everyone pitched in to make sure I got to bed by 10:00. One of the best parts of the diet for me was that I could satisfy my sweet tooth with fruit. That was what really saved me. I completely swore off desserts which has been a weakness. I eliminated rice and pasta, which had been the primary portion of my family’s dinners. We replaced the white portion of our meals with deliciously cooked fresh vegetables and had a large salad at each meal. Cutting back on eating out has saved us hundreds of dollars! Another unintended benefit of the Paleo Challenge was my husband losing 20 pounds and my son losing 6 pounds. But, the direct benefit of the challenge was my losing a total of 26 inches in my target areas and 18 pounds (so far). I’ve gone from a size 12 to a size 8, and I think I need to get smaller shoes, too. I’ve attached before and after photos (scary!) and my target area chart. I’ve gotten compliments from family, friends, coworkers and boot campers - and it feels wonderful! My son told me that he used to have trouble giving me a hug around my waist, but now it’s easy. That really moved me to tears. I’m looking forward to continuing until I reach my healthy weight of 125-130 pounds – and then maintaining a healthy level of fitness. Thanks so much for the Challenge!"